Amanda Dobbie, CEO of not-for-profit organisation, Women in Banking and Finance (WiBF), reflects on her role promoting gender balance and shares her top tips for small businesses looking for greater gender diversity in their organisations. Amanda Dobbie was appointed as the first Chief Executive Officer of not-for-profit organisation, Women in Banking and Finance (WiBF), in August 2013. The former managing director of Bloomberg Australia and New Zealand reflects on her role promoting gender balance and shares her top tips for small businesses looking for greater gender diversity in their organisations. What are the key initiatives WiBF has in place to promote gender diversity? Our key mission is to improve gender balance across the banking and finance sectors by supporting women in developing their careers and getting more women into executive leadership roles. WiBF has traditionally done this via our education and event programs, which are filling in the gaps of what the banks are already doing with their own leadership and professional development programs. Why is it so important to work with universities to help the sector attract more female graduates at the entry-level? In 2013, we partnered with the Australian Financial Markets Association on some industry-wide research about the intake of female undergraduates. The research found many young women are dismissive of a career in finance because of a perceived lack of flexibility and the notion that it’s male-dominated. Our programs largely look at retention and promotion, but if businesses can’t attract people into the industry in the first place, there’s going to be a problem in the next generation. That means we have to start at the entry-level to ensure enough women are attracted to the industry and undertaking the right courses. So we’re engaging with universities and business schools to see what role the industry can play in changing the perception that the finance sector isn’t female friendly. We’re developing a portal for undergraduates to access quality information on the industry and organising networking events where top female students can meet industry leaders. Why is gender diversity such a crucial issue? I believe diversity in the workplace is vital if businesses are to be more creative and resilient. From an economic perspective, it’s also recognised that we need to leverage all of our talent – not just for the banking and finance sector. When it comes to improving diversity, I’m optimistic we’re going to get there in the end because it’s going to be driven economically. However, it might be a slow ride. Banks know that to remain competitive they have to get the best people, so they’re tapping into the female population. I also believe all employees should be treated with respect and rewarded for their efforts. What are the key challenges for small business when it comes to promoting gender diversity? The biggest challenge for large businesses is around flexibility. I think that’s got to be even harder for smaller businesses – factors such as how to offer parental leave and maternity leave, how to be flexible, staying in touch with people on leave and how to get people back to work quickly and in meaningful roles. Most of this has to be led from the top. A lot of businesses say they can’t find the women to hire, but the women are there. What tips do you have for SMEs to overcome these challenges? You’ve just got to do it. You shouldn’t be overlooking talent and you can become more aware of any gender bias in your hiring process. For example, when you’re recruiting, ensure you’ve got different people looking at CVs and use more diverse interview panels. It’s about putting in processes that stop that unconscious bias, because a lot of these problems are societal and cultural. Businesses should also be aware where their female talent is by mapping it out and making a conscious effort to think about people prior to positions becoming available. So if someone’s not ready, ask ‘what do they need to do to get there?’. It’s about breaking through those barriers that are stopping women from naturally moving into executive-level positions. his article was first published in Business View magazine (Summer 2014). 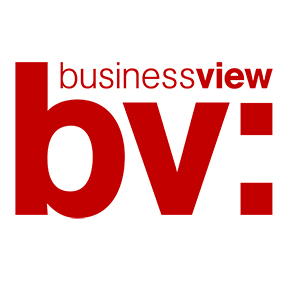 For more articles and interactivity, download the iPad edition of Business View for free via our app, NAB Think.